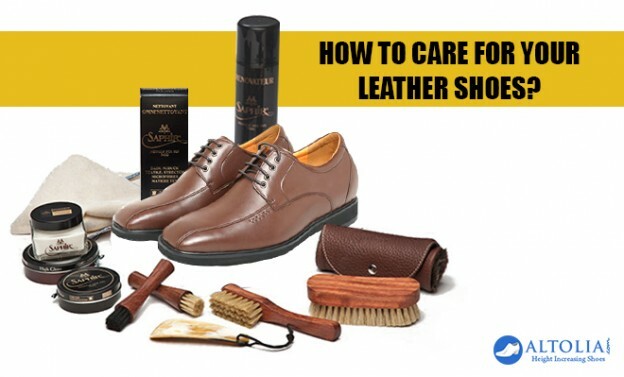 How to care for your Leather Shoes? There is something about Leather, as it caress the skin of your feet - thus, making you look stylish and poised. I am sure every man adores his recent purchase of Leather and always try to keep them shine! There are specific things to keep in mind when it comes to the care of leather shoes. Avoid wearing them on a regular basis- Leather absorbs water in great amounts and requires time to dry out fully. If you wear them daily, they will soak your sweat and remain damp; this quickens the process of wear and tear method. Water normally, need to be avoided when wearing leather shoes. If it's raining, make sure that you are wearing waterproof shoes. Leather requires shoe polish to keep up the shine and its look- In many schools, kids are encouraged to polish their shoes every night before going to bed. Such a habit can be redeveloped, as three times a week. Be cautious of the creases on your leather shoes. Make sure that you don't keep your leather shoe wet for a longer time period and prefer to store your footwear in the breathable dried environment. Leather can be damaged so try not to scratch them. There is plenty of work that goes into the creation of leather wear. So here are some final tips. If you have been polishing your shoe, then, prefer using specialized pre-cleaner before starting the process as there can be some residual wax. Make sure that your feet are dry before slipping leather shoes. Use a good tortoiseshell to ease your foot in without creasing the back. Every few years, head back to the store or ask cobbler to re-sole your shoes as they need a regular check-up like your vehicle. So it's suggested putting personal care when it comes to looking after your shoes.